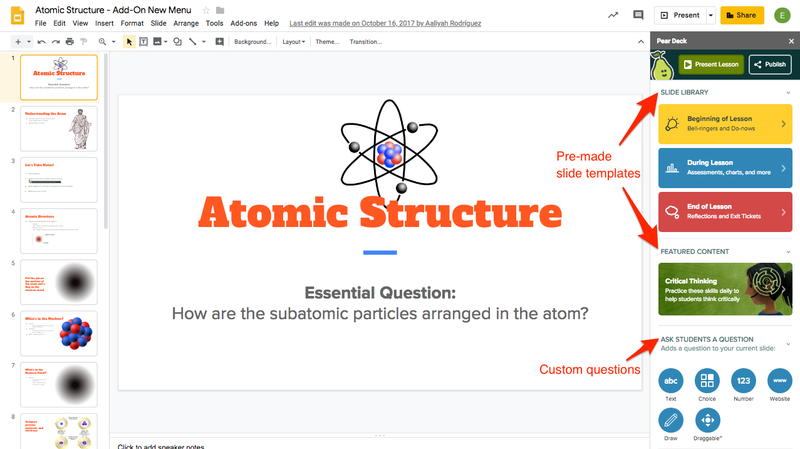 With the Pear Deck for Google Slides Add-on, you can instantly add Pear Deck formative assessments or interactive questions directly to your Google Slides presentations. 1. Make sure your PowerPoint file is saved to your desktop! 2. 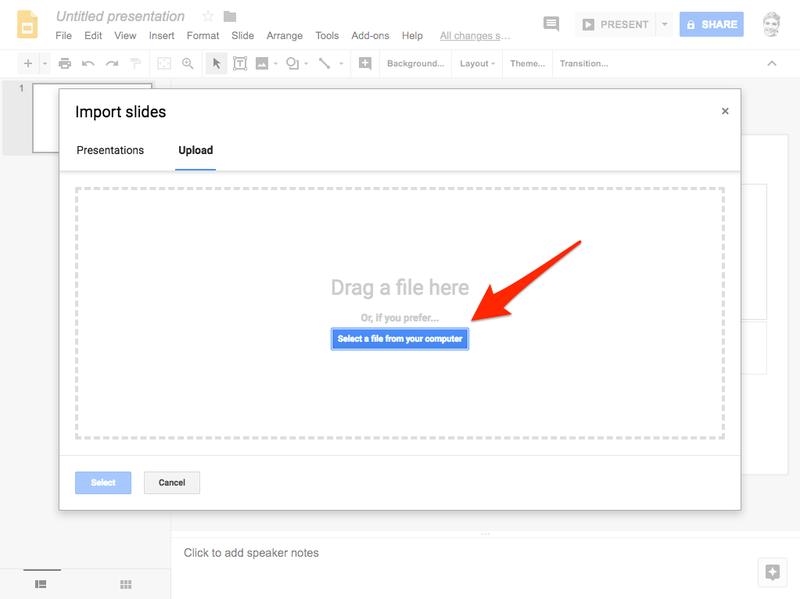 Open a Google Slides presentation. 3. 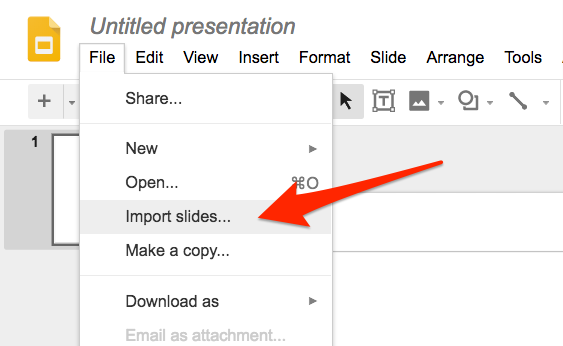 Click File > Import slides. 4. Click Upload. Then Select a file from your computer. You'll then be prompted to select the file from your computer. 5. Select your PowerPoint (.ppt) file. Once your files are loaded, choose the slides you would like to import by clicking on their slide image. 1. In the Google Slides menu, *Click Add-ons > Pear Deck > Open Pear Deck Add-on. *To do this, you'll need to quickly install the Add-on first. Get instructions here! 2. This opens the Pear Deck sidebar menu, which is full of pre-made interactive slides and custom interactive questions to add to your presentation! 3. When you are ready to present, make sure to click the big green Present Lesson button so that students can join your presentation and interact with your slides.